The Texas Army National Guard’s oldest unit, dating back to 1823, the 1st Battalion, 141st Infantry Regiment of the 72nd Infantry Brigade Combat Team, conducted a deployment ceremony May 16, 2018 at Joint Base San Antonio – Fort Sam Houston. The battalion is preparing to deploy to the Horn of Africa, partnering with more than ten nations to promote regional stability and prosperity. Hundreds of family members were in attendance to see their Soldiers off and show their support. 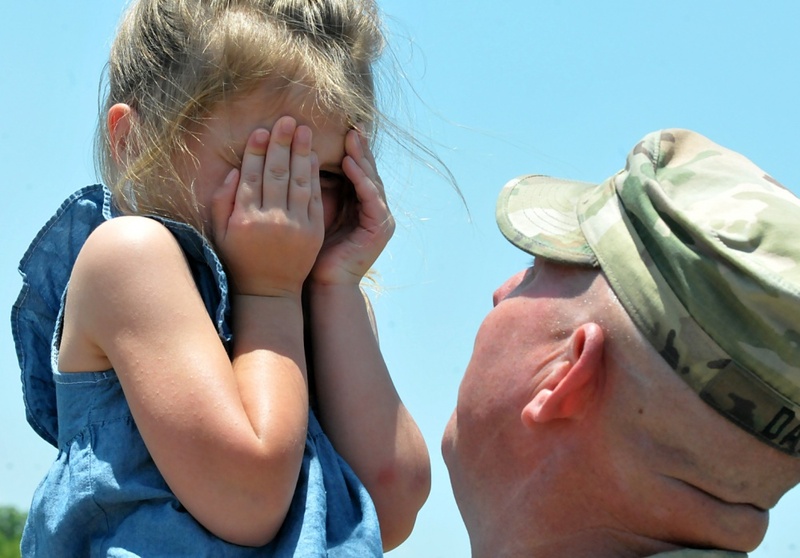 This will be the last time that Soldiers will see their families for the coming year and Maj Sean Ibarguen, commander of the battalion, addresses that hardship.